A top producer in the game who has made beats from Mobb Deep to Eminem. The Jewish born producer gets much respect in the rap game. 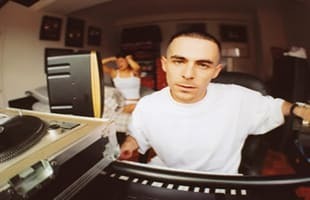 The Alchemist Pays Tribute to Prodigy by Sharing Unreleased Mobb Deep Song "Try My Hand"
Jay Worthy and Alchemist Share New Video For "Four Fifteens"
Premiere: Money Makin Nique Shares "The Realest Sh*t"
Listen to Westside Gunn and Action Bronson's "Dudley Boyz"
Alchemist Shares the Original Version of ScHoolboy Q's "Hoover Street"
Blu Attacks Evidence and Alchemist: "PRO DARREN WILSON WHITE SUPREMACY RACISTS F*****S"
Listen to Alchemist, Migos, and Mac Miller's "Jabroni"
Mac Miller & Migos Connect On Alchemist's "Jabroni"
Alchemist and Action Bronson Connect On "Voodoo"